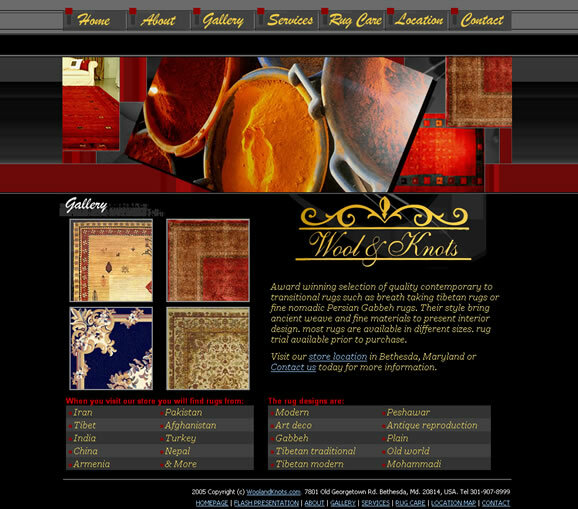 This is a website we created for a Rug Store in Bethesda, Maryland. The website consists of a Flash animated introduction and a vibrant colorful website with special image gallery features of thumbnails that show enlarged picture on mouse over. The site also features an online contact form. I currently manage, host and maintain the site for this client.